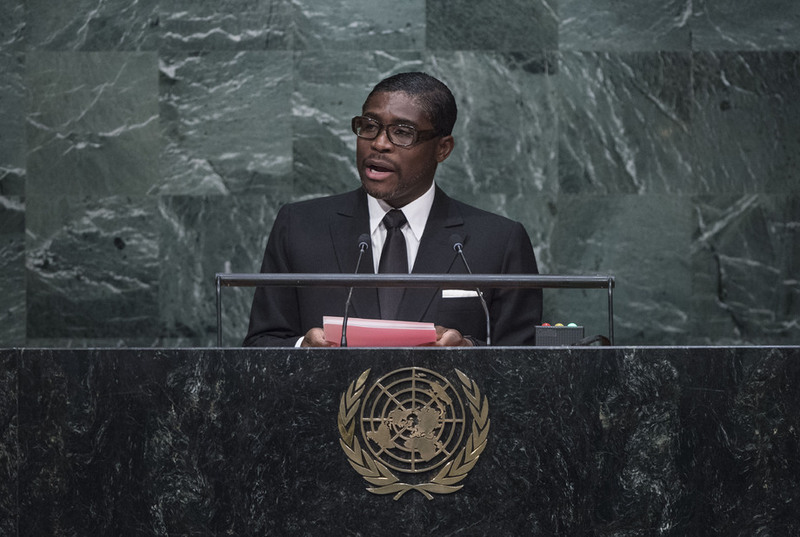 TEODORO NGUEMA OBIANG MANGUE, Vice President of Equatorial Guinea, said that his country always trusted the United Nations despite some attempts to monopolize the Organization. While renewing faith and trust in the world body, which promoted peace, security and stability among our nations, his country was also concerned about some weaknesses it had shown in preventing and eliminating conflicts. Member States must act in solidarity to address the proliferation of conflict in Africa, the Middle East and Europe, which were in turn causing massive migrations. The United Nations was not a police force. Member States must submit themselves to international law and norms. The success of the Organization depended on neither the skills of the General Assembly Presidents nor the intelligence of the Secretaries-General. Equatorial Guinea was a small African country rich in oil, he said. Due to preventive measures, the country succeeded in staving off external attempts to take over its oil. His country was successful in achieving social development. Based on its Horizon 2020 national development plan, the country was seeking to build infrastructure, improve productivity, build human capital, and diversify the economy with energy, mining, agriculture and service sectors as pillars. He reiterated Africa’s call for two permanent seats and five non-permanent seats in the Security Council. Turning to the upcoming Climate Conference in Paris, he said the Amazon and Congo Basin should draw special attention as they were the two “lungs” of the earth.